What’s the best way to draw attention to Dutch startups at the world’s largest consumer tech show show with 4,000 companies and 170 visitors? Orange. 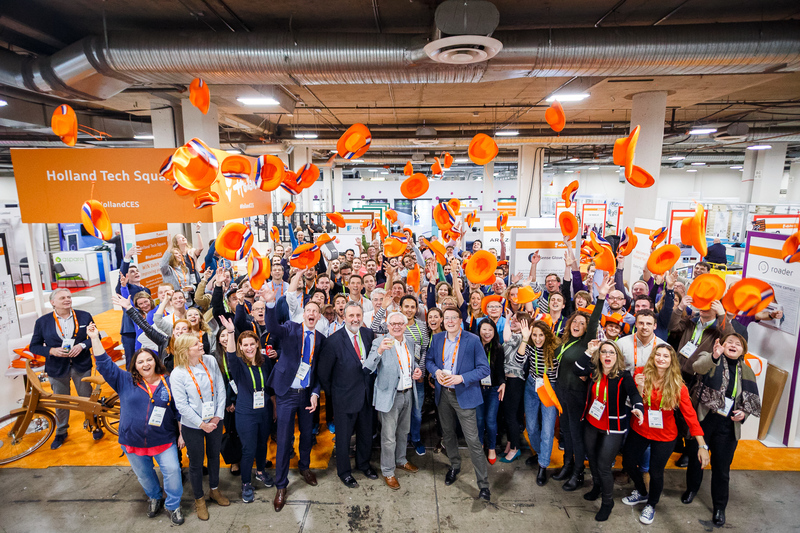 The Holland Tech Square was the biggest single-country pavilion at the Consumer Electronics Show (CES) in Las Vegas last month, and presented the 53 hottest startups from the Netherlands. 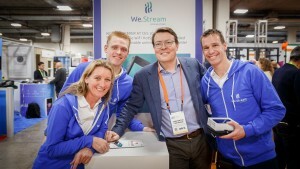 “For us, CES has been extremely useful,” said Robert Pronk of We.Stream, one of the startups that attended the show. 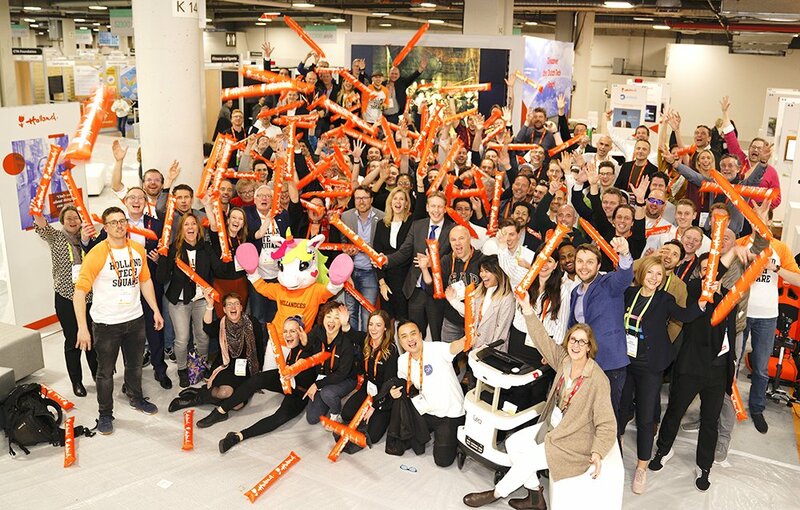 Given the large number of visitors, as well as the presence of several tech giants, CES 2018 provided the ultimate opportunity for Dutch startups to present themselves to investors, press, and professionals. This immense task was executed by the Dutch Consulate in San Francisco, the Netherlands Enterprise Agency, and StartupDelta. One of the startups presented at the Holland Tech Square was Sense Glove, a VR startup that launched its pre-sale campaign at CES. How did the Dutch startups prepare for such a high-caliber event that buzzed with innovation? In part by participating in a varied program of preparatory activities, including webinars and pitch trainings, offered by the the Dutch Consulate to acquaint them with the American business culture. This support was valuable for the startups, as Dutch companies often need to adjust to the cultural differences of the US business environment. The Consulate in San Francisco also organized matchmaking sessions, where staff connected numerous Dutch startups with relevant American corporates and organizations at CES. These matchmaking sessions made it easier for startups to reach out to potential investors and clients. The sessions paid off, as thousands of people visited the Holland Tech Square. 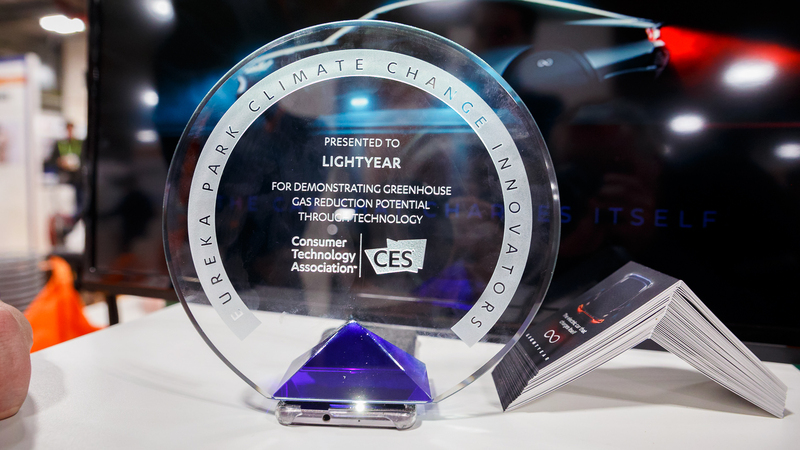 “The number of visitors and the level of interaction at CES is truly amazing. It surprised me how easy it was to talk to potential new customers and partners,” Pronk said. The CES is the biggest annual event in Las Vegas, with more than 170,000 visitors spread out over five locations. How did the Dutch startups stand out amid the other pavilions and big corporates? Besides a bright orange carpet and handing out orange cowboy hats, the Holland Tech Square offered a varied program of panel discussions with themes about the Dutch and American startup ecosystems, and the latest tech trends in the Netherlands. Furthermore, several pitch sessions and press tours were organized, so startups could use every opportunity to showcase their products to press and investors. This proved to be fruitful, as several startups won prizes, with one of the winners being smart mobility startup Lightyear. 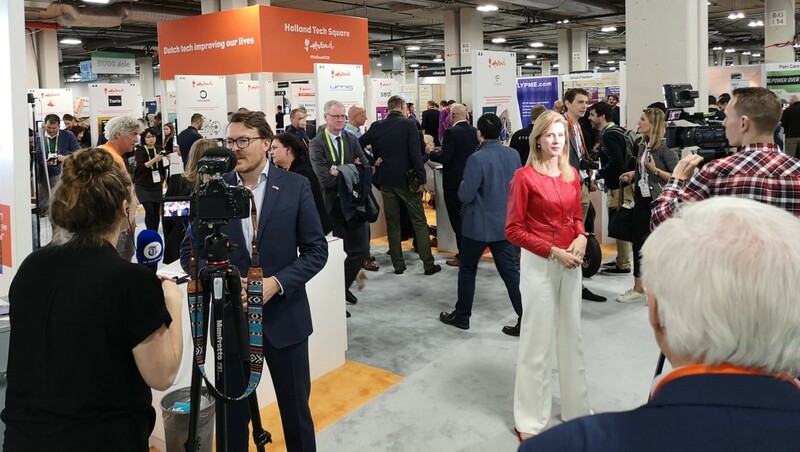 The Dutch startups that showcased their innovations at CES did not go unnoticed by the media, with media outlets such as CNN, The Washington Post and Nibletz showing interest in Dutch creations, such as the Sense Glove gadget, the Somnox robot, and the WanderWatch. However, it was not just the global media attention that provided opportunities for the 53 Dutch startups at CES. The interactions at the event itself also turned out to be a valuable contribution to their strategic path of growth. This year’s participants advise new startups to attend next year’s CES. “I don’t think that there is any other event in the world where you have access to this number of international leads. We aimed to talk to large corporations and companies about our product, and we succeeded in this. We signed contracts with a large American distributor, as well as with UK broadcaster Sky Sports. I would definitely recommend new startups to visit next year’s edition of the CES,” said Robert Pronk. Startups are the driving pillar behind the Dutch innovation sector, and proved once again at this year’s CES that they are a force to be reckoned with.